My friends and those of you, following my blog, know that I have always been in favor of natural-holistic approach to my dogs´ health and nutrition. The very same applies for Jachym and I in our daily life. 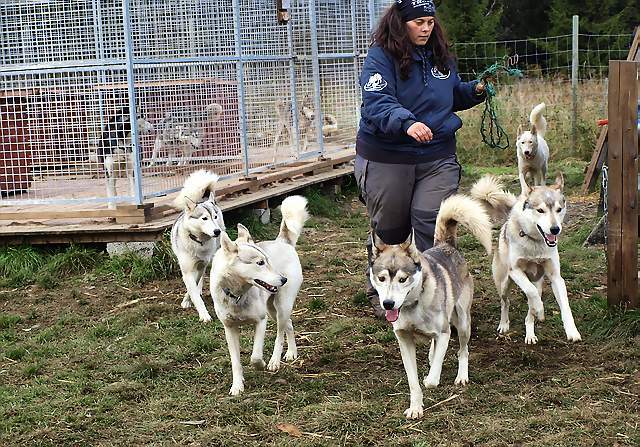 In those 20+ years of living with, raising, training and racing sled dogs I have learned that herbal and other natural remedies and ingredients do truly make a big difference on my dogs. Be it a detox weekly cure (I will write about that in some other post sometime), natural antioxidant supplementation for stronger immune system and healthier joints, coat, skin and eyes, or massage and healing liniments, oils and salves for treating the four legged athletes´ injuries, such as all sorts of wounds, sore wrists and muscles. I have turned to herbs and other natural sources and therapies when treating the dogs´s many less or more serious conditions, such as deworming, tick treatment, mosquito and fly bites, liver and kidney problems, eye diseases, limping, bite wounds (including those very deep ones), swollen and sore wrists and joints, arthritis, diarrhea, exema, allergies, weight loss, anxiety and stress, bladder and urinary tract infections and even cancer. Now, please know that I am in no way saying that all diseases and health problems can be cured only by using herbs and natural remedies, or that one should not seek a vet or physician when health is in question! After all these years that I´ve been searching for ways how to improve my dogs´s and my personal health and quality of life, I learned a lot. Along the way I found some great and effective natural remedies, therapies and approaches, met many wonderful and interesting people, started the self-learning process, improved my relationship with my dogs tremendously, managed to enjoy their presence until the average age of 15,5 years, learned about the amazing effects of physical and mental stimulation on the improvement of a dog´s happiness, successfully fought depression, and overweight and it all opened my eyes and broadened my horizons. It is an ongoing learning curve and journey, for which I always will be very grateful, and I would like to share it with you. 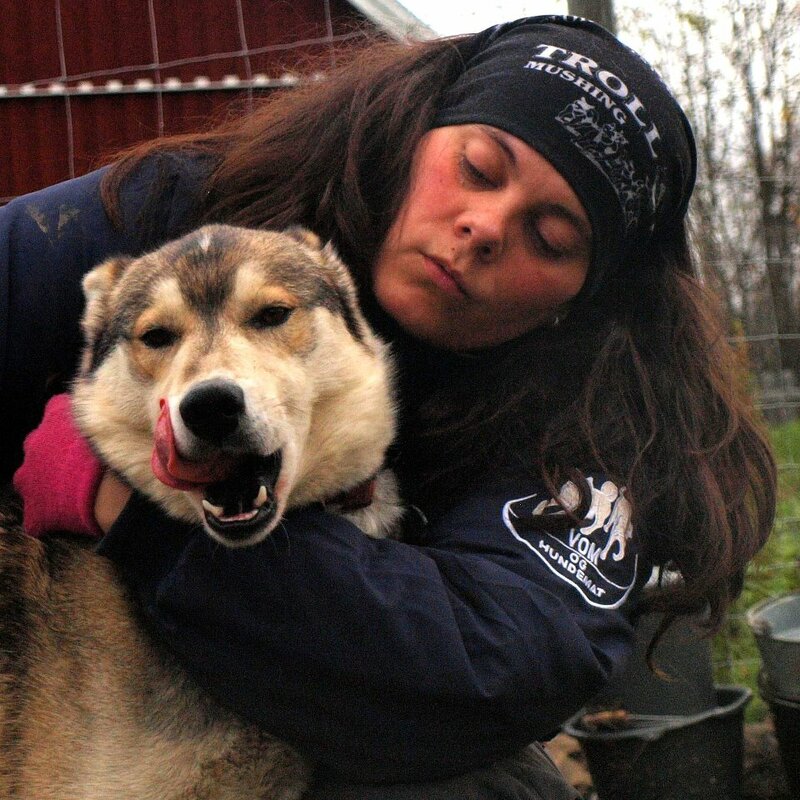 My mission is to keep improving the quality of life of animals and creating better relationship between people and animals (and particularly between mushers and their sled dogs). In order to be able to do this, I have decided to re-model my blog and add easy to navigate sections (pages and labels) that will help you to find information you are looking for. Please bare with me, it is a lot of work and time and the changes are happening "on the go". For years I have been recommending only what I tested myself with my dogs, and what I can trust. It is my philosophy and ethics, and I have successfully built my previous business on it. We ran the very first holistic internet shop for animals and their owners in Czech Republic, as well as imported and distributed many natural pet foods, nutritional supplements and health care products, for 13 years. If you consider purchasing any of the products I recommend, please do so through the links from this site/blog, it will help to cover the efforts and time I put into providing all the information, knowledge, and running this site and supporting my living. Thank you. I have a few exciting projects prepared, the first one of which is a FREE Online Natural Nutrition And Health Advisory Service and will be launched shortly. Based on many requests and inquiries, I will also re-introduce the various Kipp d´Amundsen Feeding Programs I have developed for my dogs throughout the years, and will include composing of recommended Individual Feeding Programs to my services. Please feel free to leave any response, suggestions, requests, ideas and inquiries of what you would like to read about, either in comments below this post or write me a message on Facebook. If you like my blog and whatever information you find here is useful to you, would you consider supporting my work by clicking and visiting some of the advertisements, and/or donate any amount through the PayPal link on the left sidebar? Thank you! Besides nutritional and health care advise, I will continue adding videos, tips and ideas of sled dog care, massage and stretching, training, equipment and other useful information not only for sled dogs, as well as keep sharing stories and experiences from my daily life and adventures on the trail with my beloved huskies, as we chase our dreams!